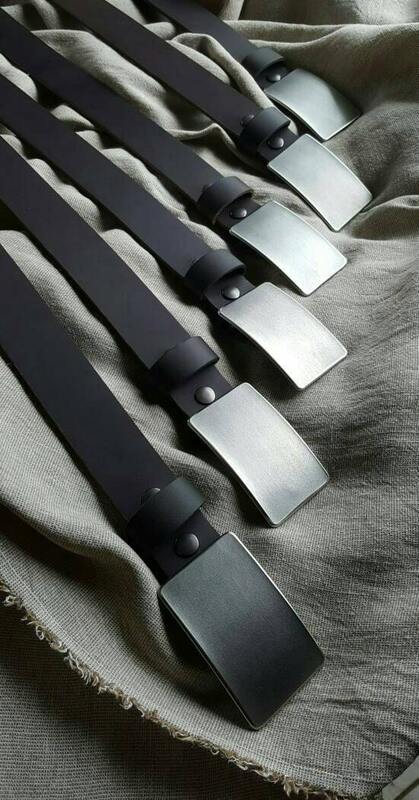 Each SET comes with one buckle and one leather belt custom cut to your waist size. Your choice of five belt colours. Belts & buckles for each member of the wedding party. Groom & groomsmen's raw stainless steel belt buckles. 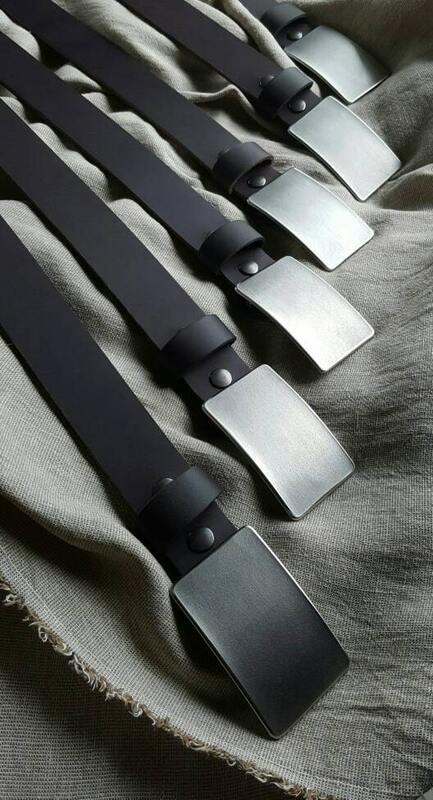 Hand forged stainless steel fits 1.5" belt for jeans and chinos. Hand forged stainless steel belt buckle is a signed original. Artist signature is on the back of each buckle. Excellent practical keepsake & gift for each groomsman, bridesmaid, or for each member of the bridal party. Please let us know if you prefer black velvet or beige burlap storage bag for your belt buckle. Personalizing buckles with monograms/initials for each groomsman. We can personalize with an etch on the front. Etches/Initials/Monograms up to threee initials on front of buckle $30 extra. Buckles can be purchased as in listing photo. Hand punched date or initials on the back are an additional 2$ per letter/number. Please email. Our interchangeable belts have quality snaps, making changing buckles very simple. 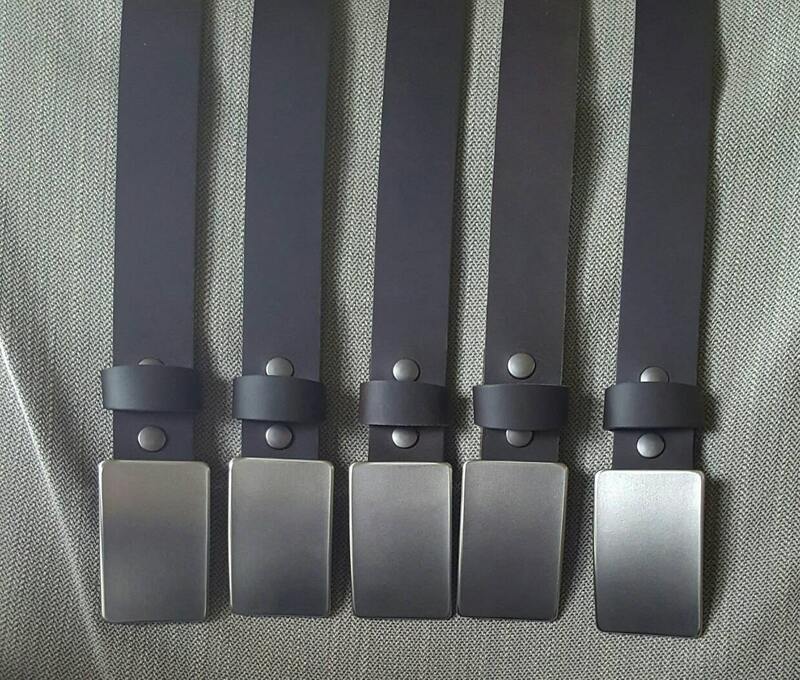 $35 each additional belt. Please email and we will add cost to a custom listing for you. We also have black full grain bridle leather. Full grain bridle leather is a bit glossier than leather shown, a bit thinner, and some say looks a bit dressier. See link below for comparison between bridle leather and buffalo.